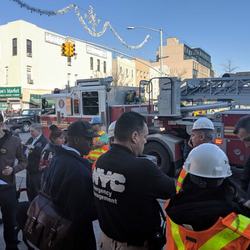 Local 100 Stations Vice President Lynwood Whichard and Division Chair Robert Kelley took aggressive action to insure membership safety when foul-smelling fumes filled several L train stations on Tuesday Feb. 5th. The two officers, after consulting with President Tony Utano, advised members working at the Grand St., Graham Ave. and Lorimer St. stations, at approximately noon, to go above ground in order to avoid prolonged exposure to the fumes, as The New York Daily News, NBC Channel 4 and other media outlets reported. The MTA then suspended service for a few hours and called in the shuttle buses. 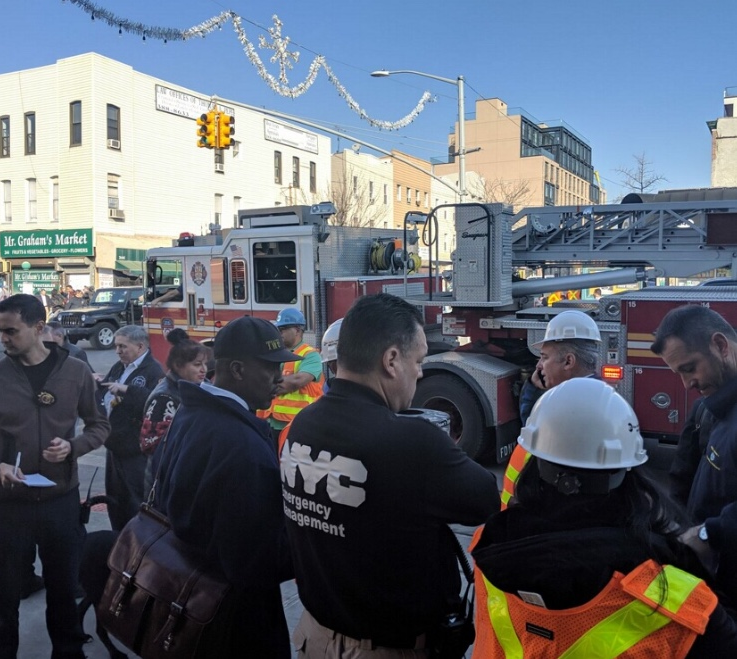 Service resumed later after the NYC Fire Department declared it safe for riders passing through the area. But Local 100 members didn’t return until the smell significantly dissipated hours later Tuesday night. Authorities determined the odor was caused by non-flammable fuel oil that leaked into the system. 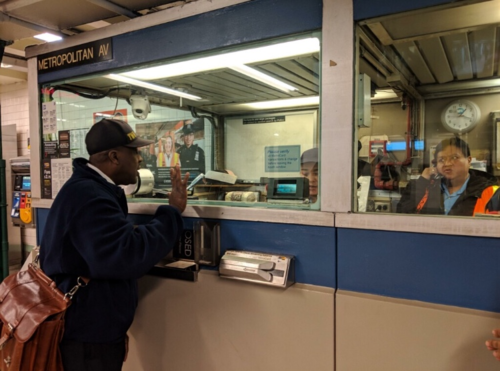 Photo: On Tuesday, Local 100 Stations VP Lynwood Whichard talks to Station Agent about the fumes situation on the L Line.